← My “who do you think you are moment”. After the archives today we had a mediocre, actually a terrible lunch at a place that looked really cute. There are benefits to being on a group tour but a pitfall is not being able to order off the menu. We then went to the “senior cafe” where poor elderly Jewish survivors meet for a free lunch. 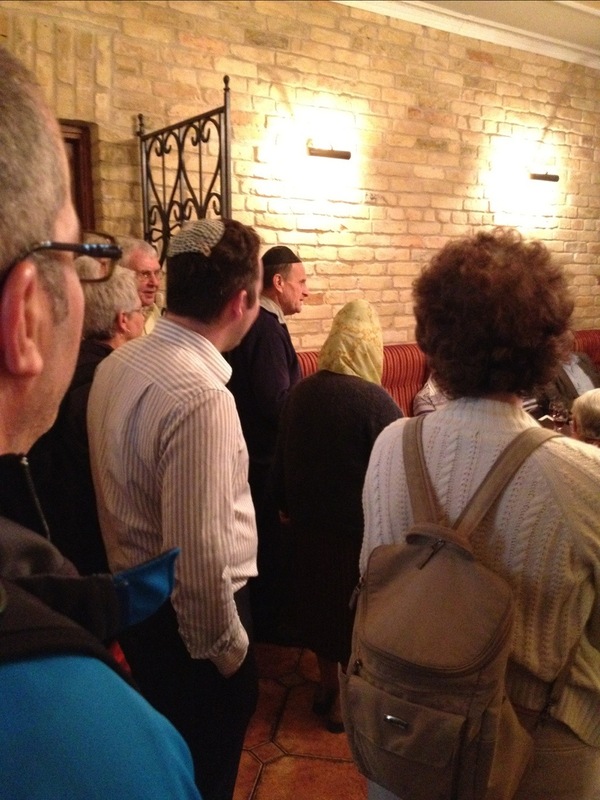 Two people said the blessing over the wine and bread then we all split off to meet Jews in need. Our taxi first took us (with a guide) to meet this family who was very poor. Their house was 400 years old. 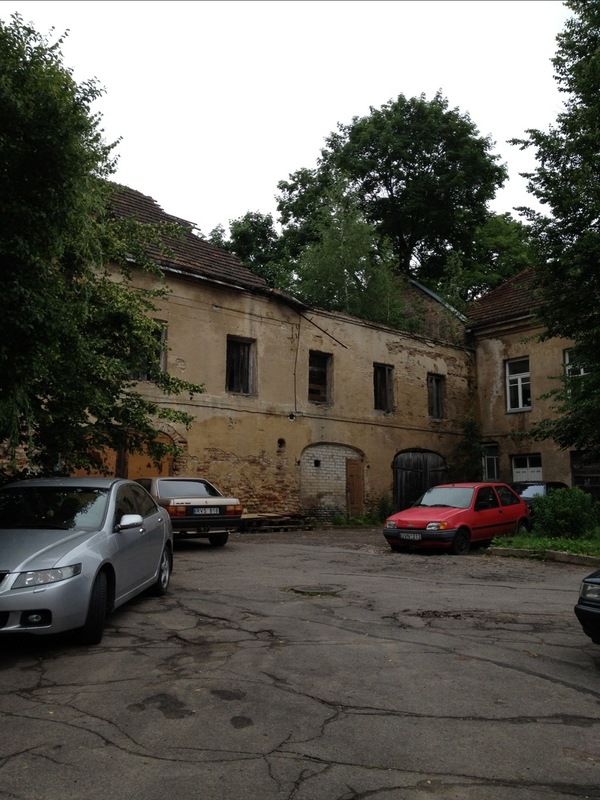 It used to be a monastery and then their quarters were turned into a horse stable. They earn approximately $250 per month. Their home is government subsidized. The have a wood stove for heat and 3 rooms which includes the kitchen. 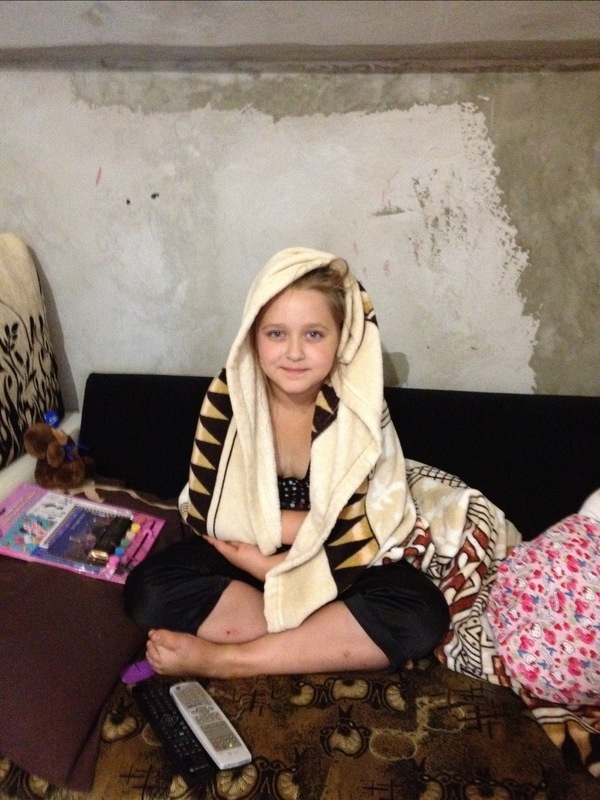 Their stone walls are covered with blankets and rugs and they sleep on a couch. Interestingly, they do have a television and computer. We brought money and gifts. I have never been a home like this before. Their 8 yr old daughter, Sonia, was beautiful. I showed her her future husband, Brett, from the US. She liked him and smiled. She gave us handmade jewelry. It was so sweet. We thought they were poor until we visited an elderly man in his 80’s. I wanted to vomit; it was the most saddest place I have ever seen. Outdoor toilet, Ughhhhh! Poor sweet hoarder man. When we regrouped we all shared stories of the families we met. It was very moving. Next came the highlight. 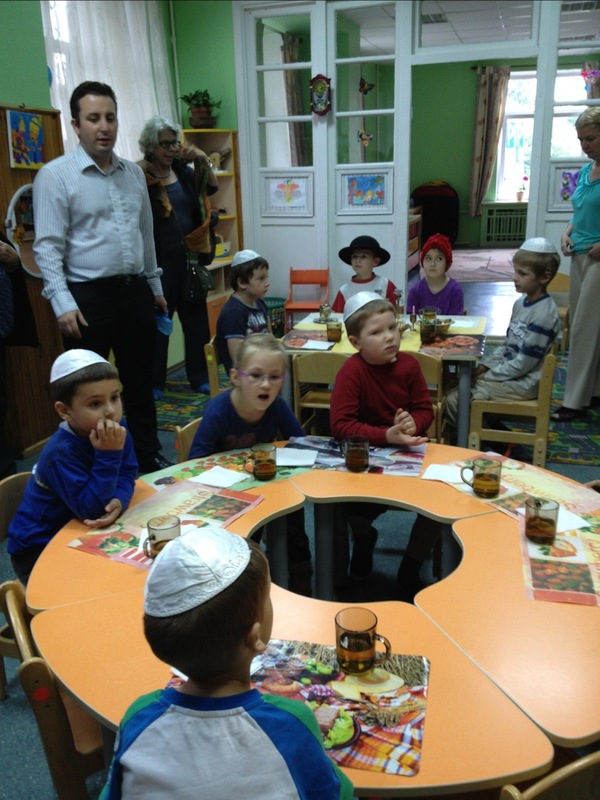 We went to the Vilnius Jewish Kindergarten. They have 50 kids and 50 more who woud like to go. If I have my stats right there are 450 Jewish students in Vilnius. The kids showed us how they could say the brachot (prayers) for the wine, bread, and candles. We all sang Shalom Alechem. It was very touching. They would like several things for their pre-school. It would make an amazing bar/bat mitzvah project. I have all the contacts. Michael Sverdlov was born in 1927 in a little down of Glubokoe, Poland. He was evacuated with his family when WWII began. 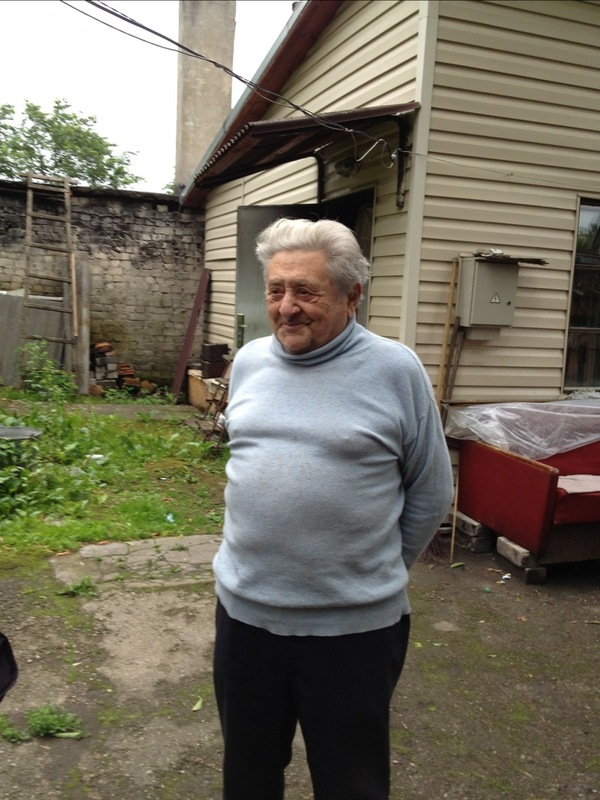 In 1944 he was taken into the Soviet Army, after the war he was in Germany. Came back to Belarus. Hee worked as a driver from 1946-1993. 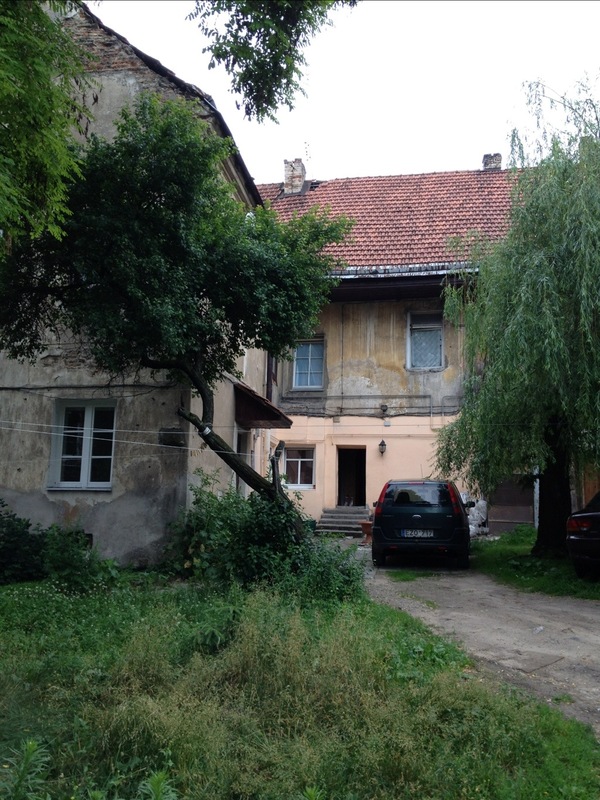 He lives in the house owned by the municipality, it has no utilities, and has been burned 2x. It was a hard home to visit. Sweet man. Beth it is wonderful to read your blog. What an adventure.